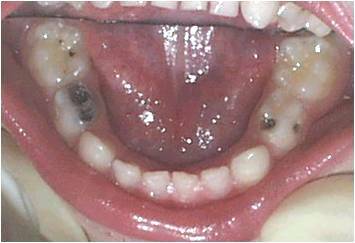 The baby teeth usually start to erupt around 6 months but everybody is different. Teething: Evidence suggests erupting teeth may be accompanied by drooling, biting, gum rubbing, irritability and low grade fever. It is NOT associated with loss of appetite, difficulty sleeping, cough, rash, diarrhoea, high fevers and vomiting and medical attention should be sought for these conditions. Teeth discomfort can be helped by rubbing your infants gums with a clean finger, providing a clean cold teeth ring or wet washcloth to bite, or giving non-sweetened rusks to chew on. There is no evidence of Bonjella or SM33 gel being effective and is more likely harmful. Some infants have been hospitalised from use of these medications and their ingredients have been changed in the UK because of this. Amber beads have been a noted choking hazard and the supposed benefits that they release succinic acid as a pain killer has not been able to be verified. Experiments showed no evidence of any substance release. As soon as teeth are in the mouth, attention should be taken to hygiene and diet. Initially clean the teeth with a soft washer and work up to a childs toothbrush. Children’s toothpastes are available. 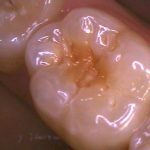 Bacteria start growing on the teeth and eating sugars in our food. This sugar is fermented to acid which eats away teeth. Avoid prolonged periods of sugars in the mouth such as milk, juice etc in a bottle overnight. This can produce profound effects such as in the 3 year old shown. 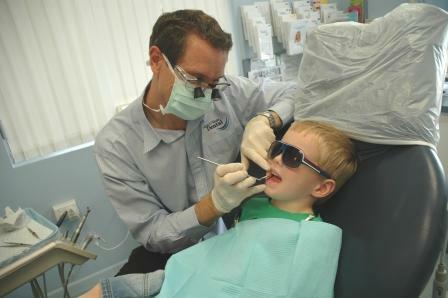 We advise the first dental check about 2 years of age. Remember that a consult with a dentist earlier is advisable if you have any concerns. At age 2 we like the child to see the dental visit as fun – a ride in the chair, balloon and a quick tooth count helps familiarise them. It is the time to rediscuss preventive care with mum and dad, and fine tune any risk factors for your child getting decay. 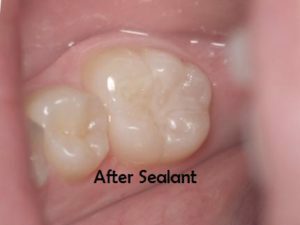 Your child needs to feel at home and comfortable to prepare them if any future dental work becomes a necessity either from decay, or even just damage from a fall or accident. From this age on 6 monthly check-ups reinforces a positive dental experience and reduces any fears. Any changes to the teeth can be picked up early and hopefully the need for anything other than a check and clean is avoided. Accidents do happen! If your child has a severe knock to the head they should be assessed at the emergency department of the children’s hospital. 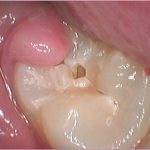 If a baby tooth has been knocked out there is no need or advantage to put it back. If it has been moved but is still in the gum then try to get it back into position as soon as possible. If it has been knocked up into the gum it is best left alone and it may erupt back into place. 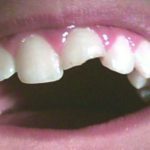 Broken teeth may need either no treatment, minor smoothing, complex root treatment, or tooth extraction. 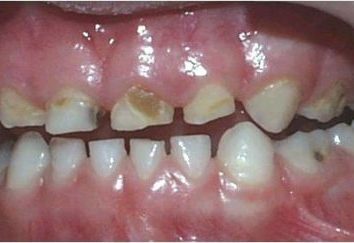 Trauma may result in the front tooth ‘dying’ and going black. There may also be damage to the adult tooth underneath. All the future possibilities depend on the child’s age, which teeth were damaged, and how severe the trauma. Any trauma to your child is scary for the whole family – call us immediately and we can guide you on the best first aid and long term care. Children go through developmental stages in behaviour. You need to thoroughly clean your child’s teeth morning and night. The bedtime routine is most important for children. Remember children model their behaviours from their parents so we all need to keep a routine. 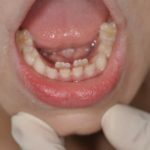 Around the age of 4 children become very testing of their boundaries and like to either show independance and want to brush their teeth themselves, or negativity and refuse any brushing. Consistency in behavioural habits up to this point helps greatly. Try to brush with your child sitting between the legs and head tilted back inot the lap – it allows better vision into the mouth. This age group responds well to ‘star charts’ – e.g. brushing a full 2 minutes gets a star and 5 stars per week gets a reward (the best rewards are time with parents for play or attention, and small rewards more often are better than big rewards infrequently). 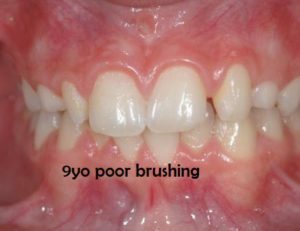 Your child may brush first and then you can finish off for them. For children with teeth that contact each other, flossing with hand held flosettes can help greatly. This is the age that the adult molars start to erupt. Often we like to be very careful in the timing of a recall exam at this age so any problems are immediately identified. 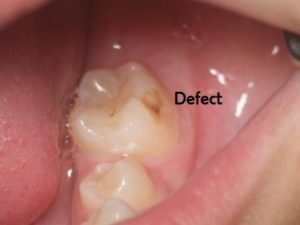 The molars are often at risk of decay in the fissures, and some even erupt with defects already on the molar (see picture). 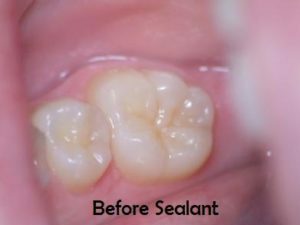 Before bacteria grow and colonise deep into the tooth fissures and grooves it can be protective to place fissure sealants on the teeth. At age 6 your child can start using an adult toothpaste. Regular brushing, good diet and regular check-ups. Early detection of any orthodontic problems may allow some simple solutions to be investigated to help avoid braces later on. If braces in the future are likely we can asses and plan for them early. 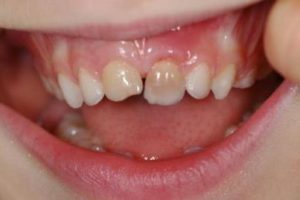 Often the adult teeth will come in front of or behind the baby teeth. This will self correct often but should always be checked by your dentist to be sure whether intervention is required. We also look for small upper jaws where the upper teeth sit inside the arch of the lower teeth (cross-bite) as this can be corrected early to avoid abnormal wear of the front teeth, and can help correct breathing problems. Trauma is still common at this age. 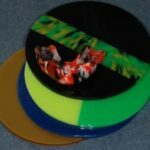 Remember mouthguards are advised for all contact sports. 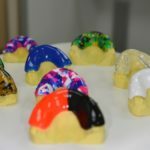 Click here for details of our mouthguards. Remember that not all children brush effectively or religeously. Adults included! 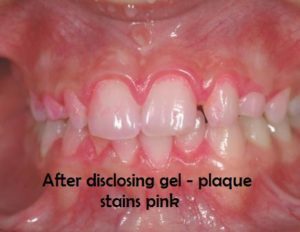 Use of plaque indicators helps show what areas are being missed, often the gum line. 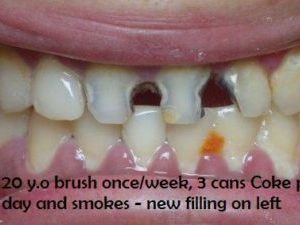 Teenagers fall into the habit of brushing less frequently, often only in the mornings – with disatsrous consequences. They also develop an independant income and a keen interest in soft drinks and high sugared foods. Keep an interest in your child’s health and dental health and maintain regular visits with the dentist. We advise every six months for most people. It is what we do for ourselves! If bacteria remain on the tooth as plaque for longer than 24 hours the gums start to become infected – gingivitis. We now have a new plaque indicator dye at Nundah Village Dental. Bacteria or germs show up pink as before – but any plaque present on the teeth from 2 days (48 hours) shows up dark blue / purple. 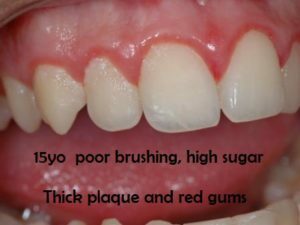 This is not an uncommon occurence and parents and children alike find this test very informative as to how the brushing is going. The first adult teeth erupt around 6 years of age, but the back baby teeth are needed to help jaw development until around 12 years of age. It is really important to develop good preventive habits for you child including a healthy diet, regular brushing, and regular dental visits every 6 months. 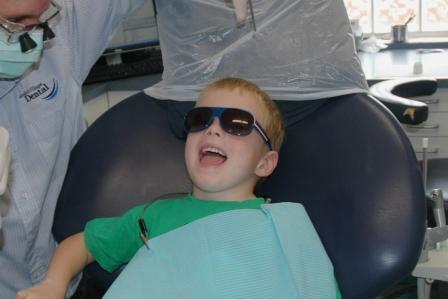 This is the time we work hard to develop a great rapport with your child and eliminate any anxiety about the dentist. we can then give the best preventive care and have the best environment for the adult teeth to erupt into. It also builds the relationship with a dentist prior to potential unexpected events like fractured teeth from accidents and trauma. We also have emergency networks with a range of specialist children’s dentist services so make sure you are given your dentist’s card and after hours contact number when you come in for your child’s check-ups. Timing of these appointments can be critical in getting the best long term result for your child. Another common question is the position of the new front teeth and how the baby teeth are falling out. Unless your child is suffering discomfort we can generally review this at each six monthly review.